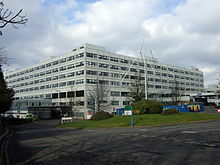 Another day, another RFID pilot program in a British hospital. Yesterday, it was IV pumps in Yorkshire; today it is part of a wireless communications system in a London emergency department. St. Bartholomew’s Hospital, the oldest hospital in England and part of the London NHS Trust, has introduced a new 802.11n WiFi network called the Aerohive to its accident and emergency department in an attempt to improve communications and efficiency. One aspect of the system is an Aeroscout asset tracking solution created by Phillips, which embeds passive RFID tags in medical equipment. “It tracks high-value medical equipment and small devices that people often stow away in drawers around the hospital, and which can take weeks to find,” said Doug Howe, head of client services at the directorate of finance and ICT at the trust. Currently, the WiFi system and its RFID component only covers 5% of the trust’s hospital floor space, but it is designed to be quickly and easily expanded. If the trial is successful, the network will be expanded to cover all of the new 1 billion pound expansion of facilities to be added to St. Bartholomew’s and the Royal London hospital by 2012.